Bridge Street, London SW1A 2LW. 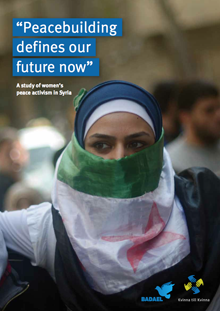 “Peacebuilding defines our future now” is a study of women’s peace activism in Syria by the Badael Foundation. Discussing this report will be Raheb Alwany, a co-author of the report and a researcher at Badael, and Laila Alodaat, the Crisis Response Programme Manager at the Women’s International League for Peace and Freedom. 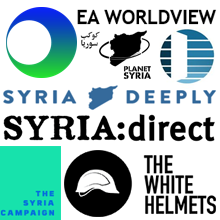 The Syrian war has had particular effects on women, as victims of the targeting of civilian areas, of the destruction of health services, and of the use of sexual violence as an instrument of oppression. However, women continue to play a crucial role in building peace and spreading the culture of non-violence within their communities and beyond. Despite their central role in the construction and preservation of civil society during this war, Syrian women are being challenged by the increasing militarisation of the conflict, which shrinks their space, and marginalises their voices and contributions. 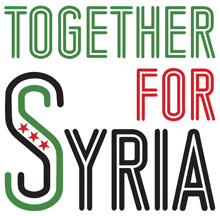 This event will focus on women’s contributions to overcoming the Syrian crisis through grassroots peace building, and on what needs to be done to insure their protection and support their efforts.